Eleaf iJust S Battery - 3000mAh, is perfectly suitable with iJust s atomizer for 24.5mm, with long-lasting battery capacity 3000mAh. It will be the first choice for those who want to start vaping. Eleaf iJust S Battery - 3000mAh, is perfectly suitable with iJust s atomizer for 24.5mm, and those two devices can be assemble to iJust S kit. This iJust S battery comes with a larger battery capacity than iJust 2, which will brings a longer life under 3000mAh. With side charging, you can easily charge it by wall adapter or computer via USB cable. Dual Circuit Protection and Direct output voltage will bring more convenience. It will be the first choice for those who want to start vaping. There are many colors for your selection. Battery LevelLight Condition60% - 100%Stay lit30% - 59%Slowly flashes10% - 29%Moderately flashes0 - 9%frequently flash. 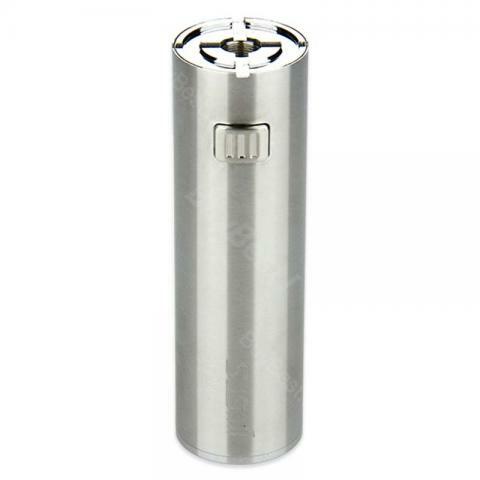 Eleaf iJust S Battery has a reasonable price and adapted to the quality.The 3000mAh battery will last a long time vaping. Eleaf iJust S ist alles heile, leicht zu verstehen, es läuft auch nichts aus Bzw ist undicht und etc. Ein super Produkt zu einem super Preis.